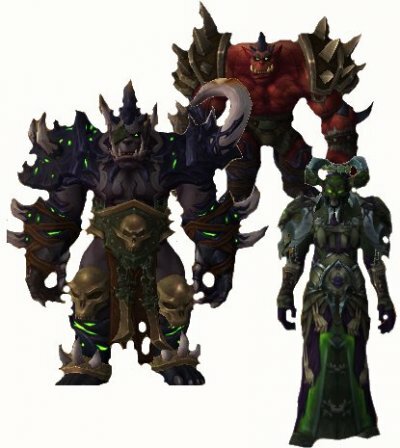 Thousands of Iron Horde orcs accepted the blood of Mannoroth, but none grew as powerful as the three that stand before you. Dia Darkwhisper, master of void magic and an outcast of the Shadowmoon, rose quickly to power—the left hand of Gul’dan. Gurtogg, with his insatiable hunger for blood, emerged the victor in hundreds of trials by combat. He has met his match only once, fighting Blademaster Jubei’thos to a draw. Tainted with fel sickness, they serve Gul’dan as both Highguard and Council of War. /rw If you have the debuff “Mark of Necromancer” run far to side when Dia casts Reap! /rw Dispell “Mark of Necromancer” when it hits yellow/red color. /rw Use defensive CD (help with def CD) when Gurtogg targets u (Fel rage). Players will fight all three bosses at the same time (It´s like Iron Maidens in BRF). Dia and Gurtogg will be tanked and Blademaster cannot be tanked. Dia will be tanked away since she sields neaby allies. All three bosses has a special ability they call “Final Hour” that they achieve at 30% which boosts one of their abilities. Attack Gurtogg while cleaving Blademaster. Take Gurtogg to 30% first and then use Bloodlust/timewarp to kill him. Make sure that Blademaster doesnt reach 30% before Gurtogg is dead. The time to kill Gurtogg the last 30% is critical since he reduces the maximum HP on players by 10% and that stacks every time he does it. After Gurtogg is dead, take down Blademaster to 30% and kill him fast. Last boss is Dia, Bring her down to 30% and use dps cooldowns to kill her. Save so all players have defensive cooddowns for this part. Use Timewarp/Bloodlust when Gurtogg is at 30% to reduce the Tainted Blood Stack. Don’t stand on shadow pools after Reap. Move away from Gurtogg when he jumps around and does demolishing leap. When Dia will use Reap to remove the debuff, move to the side and place it there. Nuke 1 boss at a time and the other bosses takes cleave dmg. Use defensive cd when having the Mark of Necromancer debuff. Blademaster throws his sword away and if players are hit by it they suffer moderate damage. Simply Dodge the burning blades. Blademaster throws a fiery tempest at all players in raid. Healers heal the players back up again. Nothing players can do to interrupt this. Blademaster will create 3 images of himself. The boss is stealth during this time. The images will disappear after 45 seconds or after all 3 are dead. During this time, the images will have same abilities as the boss. Dps AoE all the images which will have much lower health than the boss and take more damage than boss. If you let them be during the whole 45 seconds, they will do a lot of unnecessary damage on raid. Also, these images share health with the boss so dpsing adds and boss is damaged as well. The boss will vanish and summon loads of images. When images are dead, the boss will be appear for a short time and then vanish again and summon loads of images. This will continue until boss is dead. Aoe all the images, then focus on boss when he appears. Continue like this until boss is dead. Use defensive cd if it´s too much dmg to often. - Dia put a cloak on herself and the other bosses. - This cloak absorbs all dmg if players stand within 25 yards of her. - Dia´s dark attendance cloaks allies in a dark cloud absorbing all damage taken for as long as they stand within 25 yards of her. Move Dia away to Blue and tank her there. The boss turns into a vision of nightmare and bursts attacks on the tank. The one tanking the boss needs to use defensive cooldown here. The boss puts a debuff on random players. THere are 3 colors that the debuff can have, purple, yellow red. This debuff increases Shadow damage over time. If dispelled it will bounce to 2 other targets that stands closest. Dia removes this debuff after a while with an ability called Reap. This debuff falls on the ground and does moderate shadow dmg on anyone standing on it. Let the debuff tick on a player and debuff that player when dmg gets too high. Red color does high dmg on the player. Dispell a player at yellow/red color. Move to the wall on the side before Reap so the shadow pool is placed away form the fight. The boss covers the room in darkness and does moderate/high shadow damage on all players every second. This darkness accumulates in random locations which creates Wailing horrors that will fly across the room. Players in contact with these horrors will do moderate/high damage on them. HOTFIX: Reduced the damage of Dia Darkwhisper's Wailing Horrors by 30% on Normal difficulty. Dia will put Mark of the Necromancer debuff on 50% of the players without any Reap to take it away. The mark of the Necromancer stays until the entire encounter is done. This boss has 4 abilities; Bloodboil. Acidic Wound, Fel Rage and Demolishing Leap). The 5 players furthest from boss gets moderate physical damage. The Boss infects the tank with nature damage and reduce armor by 100 every 2 seconds. Lasts for 30 seconds and stacks up to 60 times. Tank swap ability that goes pretty fast. Since there are 2 bosses that needs to be tanked; The one tanking Dia swaps with the one tanking Gurtogg. Tank swap at 15-17 stacks. Gurtogg rages and targets a random player. That player gains extra defense. If Gurtogg successfully hits the player, he gets 10% increased attack speed. Even thou the player that gets targeted by Gurtogg gains a defensive ability, that player needs to use defensive CD. Healers should use some defensive cd on that player as well. The defensive CD should be one(s) that disables Gurtogg to get a real hit, such as Ice block, Shield Absorb etc. The boss leaps around the room. The landing impact does high/deadly Physical damage and aoe dmg. The further away the player is from impact, the less dmg the players takes. Gurtogg casts Tainted blood until he is dead. Every Tainted blood reduces maximum health by 10%. The blood stacks and will not go away until the whole encounter is over.